EqualCloud is a digital creative and tech agency located in Sri Lanka which focus on design, consulting, and technology such as branding, web designing and web development, search engine optimization, social media marketing and web hosting. We’ve been building unique digital products on many platforms for the past 9 years and push the boundaries of what’s possible while predict the future of technology. We strive to create meaning and value for our clients and their customers with our unique solutions. We are a diverse team of creatives, geeks and nerds from many backgrounds and working hard every day by providing world class solutions to our clients and to help make the web a better place with our digital experiences. If you are interested in our services and this sounds like something you want to be a part of, we can’t wait to hear from you. 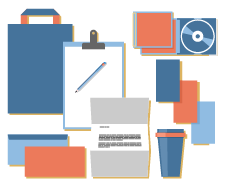 At EqualCloud, we consider the visual structure and organization every step of the way. We won’t stop working until you have the website you want. UX / UI designs are art & science. 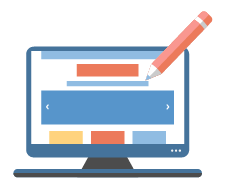 By working with dozens of peoples, clients, start-ups and companies and partners, we have a wide range of experience about User Experience & User Interface design. We turn that experience in to conceptual app ideas, sketch it, draw wireframes and turn it into a simple, functional, usable and beautiful visual interfaces for the web and applicatons. We’ll promise, You’ll love what you see. Our expertise in various technologies, compliance with the latest web standards and best practices enables us to deliver solid solutions to you and your customer. 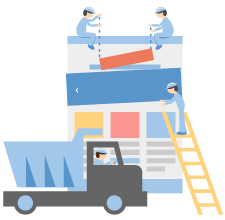 We develop websites using open frameworks such as Laravel, Zend, CMS such as WordPress, Joomla and custom frameworks we build from scratch. 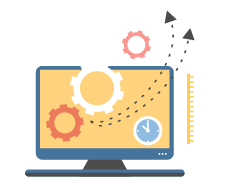 We also have vast experience in business process automation and Public Web Portals such as e-commerce systems, Products catalogs, Downloadable assets management systems and news flows as well as Enterprise Portals such as Employees management systems, Business data management system and Enterprise content management systems etc. 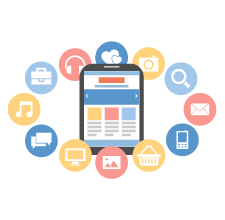 EqualCloud offers mobile application development for all popular mobile platforms including iOS, Android, Windows and BlackBerry as a native or modern HTML apps. 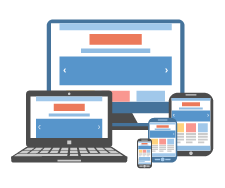 We believe the success of a mobile application implementation depends on understanding the mobile principles and target OS specifics. We know what it takes to develop a great app that is feature-rich, speedy, adaptive and responsive and visually stunning, and that delivers solid and enjoyable user experience for the end user. At our EqualCloud, we do more than simply design things. We brand companies from the ground up including logo design, print design for marketing and product photography. We also work with you to design printed pieces while also paying careful attention to your budget. We work with you to narrow down the essentials you need based on how you plan to launch your business. We also have a variety of printers we work with to create unique printed designs that make you stand out from your competition. Making digital strategies is something awesome we do at EqualCloud for startups and existing business. Our job is to help you to achieve your goals by building strong digital strategies based on data. Whether you want to increase brand awareness, improve site usability, or acquire new online customers, EqualCLoud will develop a comprehensive strategy that is right for you and your brand. Everyone is on social media these days. Parents, kids, even your grandpa. 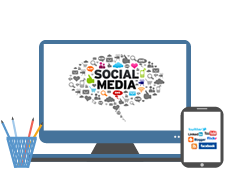 Isn’t it a good time to integrate social media into your marketing objectives before you are too late? Our years of experience in building brands through social media has taught us to move beyond simple buzz. We target specific segments of your audience and start relevant conversations that generate engagements. And remember just because someone grew up on Facebook doesn’t make them a professional. They need experience in order to direct the conversation towards your brand. That’s where we comes in to help.